 Eagle Eye USA offers full and complete service gunsmithing services on all firearms. Our gunsmith has over 25 years of experience in the industry and is known all over the Country for quality work and services. We offer everything from basic cleaning and check out to complete restoration services on all types of firearms from antique to the latest production of guns. We offer complete refinishing services including traditional hot bluing, parkerizing, rust blue, nitre blue and Cerakote. We can do action and trigger work, accurizing work, stock and recoil pad fitting on rifles and shotguns, sight and scope mounting and installation and everything else in between. We have sources for parts all over the Country but on occasion, sometimes parts are just not available. Lets face it, it does happen from time to time and we have encountered it. There are lots of older firearms out there that may look brand new but have been out of production for 60 years. Regardless, we will make every effort to locate required parts and restore your firearm to operating condition. Listed below is a summary of just some of our services. This service includes complete disassembly or detail stripping, cleaning and inspection of all parts, lubricate as required, reassembly, safety and function checking and finally test firing to ensure proper function. Any parts requiring service or replacement will be discussed with the customer prior to work being done. Nitre bluing is an offshoot of the old fire blue. It produces a brilliant “peacock blue” finish on parts and is generally only done on small parts such as screws, pins, hammers, levers and so on. The temperatures required for this treatment can in some cases alter the metallurgy of the part. Parts pare prepared as above with the exception of the bluing bath. The chemical makeup is different and it is run at a much higher temperature to acheive the results. Post treatment and curing are the same. Parkerizing has been around the firearms industry for about 90 years. Prior to firearms is was used widely in the aircraft industry as a metal finish, again for carbon steel parts, simply to prevent rust. It was developed by the Parker Rust Proof and phosphating Company and patented in the USA in 1919. The United States Military began using this finish in 1938. The process creates either a zinc phosphate or manganese phosphate finish on the surface of the metal which is very durable and due to the crystalline structure, retains oils very well. Parts are prepared by detail stripping, blasting with aluminum oxide, cleaned again and then treated in the parkerizing bath. Once the process is completed, the parts are rinsed and post treated with oil and allowed to cure for 24 hours prior to reassembly. Manganese is used on firearms since the color is much darker than the zinc. There is a myth about “green parkerizing”, we’ve all seen the old M1 Garand that was parkerized in the arsenal in 1945. They usually have a greenish tint to the finish but it is not the phosphate at all that caused the color shift. It’s caused by storage in cosmoline for 75 years. The cosmoline used for long term storage reacted over time and caused the phosphates color to shift toward the green. That’s all it was. This is a relatively new finish to the firearms industry but in our opinion it is among the best available if not the best. Cerakote is produced by NIC Industries right here in America. It is a two part mix with a base color and a hardener and is available in virtually any color and when properly applied we feel that it is the most durable and overall great looking finish there is today. The best part is that it can be applied to anything. Metal, both carbon steel or stainless, aluminum, polymer (Glock frames etc..) wood grip panels, pins, screws and so on. It goes on less than .001 thick and is thermally cured or allowed to air dry depending on the Cerakote series (C or H) selected. The process is as follows. First, the firearm is detail stripped, cleaned and completely de-greased. Parts to be coated are then blasted at various pressures with aluminum oxide, cleaned again and dried. They are then individually hung with wire or “racked” and are pre heated in the oven to 250 degrees and allowed to “gas out” which removes any moisture content in the material and any residual oils. Parts are allowed to cool to about 80-95 deg F. and cerakote is applied with a special HVLP spray gun. Once all parts are coated they go back to the oven and are thermally cured at 250 deg F. for two hours. Once cooled the firearm is reassembled and is ready for service. Be sure to visit NIC’s website for a full color selection or ask to see the color book we have. Most modern revolvers have incredibly hard double action trigger pulls. In most cases we can reduce the strength required by up to 50% while still maintaining positive ignition. Some models of revolvers do not respond well to action work, mainly imported ones but good quality firearms such as Smith and Wesson, Colt and most Ruger models respond very well to action work and tuning. We can perform all services on revolvers both single and double action from cleaning and inspection, sight work, action work, hammer spur adjustments, timing, rebarreling and just about anything else you may need. Our gunsmith has extensive experience in this area of service so you can be assured you will get the best possible work done. Do you own a semi automatic handgun? We can service them all again from the most basic cleaning and inspection to tuning your 1911 or other pistol. We can reduce the trigger pulls to a nice clean and crisp release, install and fit new barrels, fit night sights or fiber optic style sights or machine dovetails to install those custom sights such as Novak or Bomar. There are so may aftermarket parts and kits available these days for modern pistols that virtually any of them can be customized and tuned especially for you. Again, we have extensive experience with all makes and models so you need not worry about what you will end up with. We can service your automatic shotgun, single shot, side by side or over under trap guns. We can adjust chokes, install screw in chokes, install sights and beads, polish chambers, fit stocks by either lenghtening or reducing it’s overall length to fit a particular shooter, fit recoil pads, replace stocks, install accessories, muzzle brakes and port barrels or just about anything else you can think of to get that shotgun to fit the most important person…….YOU!. We can service your rifles again from the most basic of cleaning, check ups and checking headspace with GO/NO-GO headspace gauges to bore sighting and targeting by shooting in. We offer rebarreling services, caliber conversions and can do all chambering and headspace work as well. Drilling and tapping receivers for scope bases on all types of rifles followed by scope installation and bore sighting is a common job we do all the time. We can also turn down straight, military type bolt handles to clear those scopes. Been shooting cheap ammo and got a steel case stuck in the chamber? No problem, we’ve removed hundreds of them with no damage to the barrel and chamber. We can adjust trigger pulls and install trigger assemblies and safeties or swap that safety to left hand if possible. Some of the old surplus military rifles like mausers may look good but bores are often very dark and never seem to come clean no matter how much they get soaked, brushed and patched. This is typically due to many years of firing corrosive ammo and unfortunately, the only real remedy requires a barrel replacement. We have sources for excellent quality, inexpensive barrels that have the same contours so those guns can be brought back to life and shoot on par with the best of them. Excessive recoil on that lightweight .300 Winchester Magnum? We install Holland muzzle brakes. Our gunsmith has installed hundreds of these and they give amazing performance. Recoil can be reduced in some cases up to 60% or more. We can single point thread your barrels in the lathe for perfect thread to bore concentricity as well as cut and crown for improved accuracy. Often times the cause of accuracy loss is no more than a damaged or burnt crown which is easily remidied if it is indeed the problem. We can borescope your barrel and take pictures of the entire length of it from chamber to crown to help identify problems or potential problems. This can be an invaluable service prior to pruchasing any firearm as well. Do you reload? Lots of reloaders like to have a chamber cast. This involves cleaning the chamber and plugging the bore about 1.5″ on front of the throat. A special low temperature metal is them melted and poured into the chamber and it solidifies within seconds. After pushing it back out you will then have a perfect reverse image of your chamber, throat and rifling leade in so that you can measure and tailor your rounds overall length to get that bullet to just barely touch the rifling leade. From refinishing the wood stock that you have to fitting a new stock, we can handle the job. Stock finishes include basic linseed oil, hand rubbed finishes up to Fuller-Plast which is a two part epoxy type finish that is hard as nails after it cures. On a wood stock one of the best things that can be done is to bed the action to the stock. This can be done one of two ways, basic bedding and pillar bedding. Target shooters who use wood stocks will benefit most from the pillar bedding. When an action is removed from the stock and reassembled, each time the action screws are tightened the wood fibers compress more and more. Pillars install in the stock between the bottom metal and the receiver. The compression pressure from the screws is transmitted directly from the head of the screw, through the pillar and to the receiver or action. The wood fibers are not affected. On more common hunting rifles, stocks are not removed nearly as often and standard bedding will suffice. So what is bedding anyway? What happens when you fire that rifle? Why does it help? Modern rifles have a part between the barrel and receiver called a recoil lug. This lug extends down into and against the stock. When the gun is fired the recoil energy is transmitted through the recoil lug to the stock and on through to your shoulder. While all of this is going on another phenomenon called barrel harmonics happens. Have you ever turned on a garden hose that was laying on the ground and seen it whip back and forth? The same thing happens with your barrel but on a much smaller scale. Barrel harmonics are very important and should be allowed to happen un-impeded. Most of the time the barrel is in contact with the stock and when it tries to vibrate it bangs against the stocks barrel channel….differently on every shot. So, back to bedding. The stock is cleaned out and the action fitted by hand. The barrel channel is hand scraped so that there is no contact with the stock and clearance is provided to allow the barrel to vibrate naturally under recoil. Once this is fitted, a special two part epoxy is dyed to match the color of the stock and the stocks action channel is filled in critical contact areas. The action is then placed into the stock and drawn in by over length screws until the epoxy solidifies. Once this happens, the action is removed and any final trimming or fitting is then done for asthetics. What does all of this do? This provides 100% contact of the action and the recoil lug to the stock and prevents barrel harmonics from continuing through to the receiver during the firing cycle. This absolutely has a positive affect on accuracy. There are also a number of new, recoil absorbing recoil pads that can be fitted to your stock. Combine one of these with a Holland brake, bedding job and a nice, light and smooth trigger and the targets holes will merge closer together than ever. Guaranteed.